In a four-part series on TheNew York TimesEconomix blog, Harvard economist Edward Glaeser scrutinized high-speed rail and concluded that the benefits are overwhelmed by the costs. 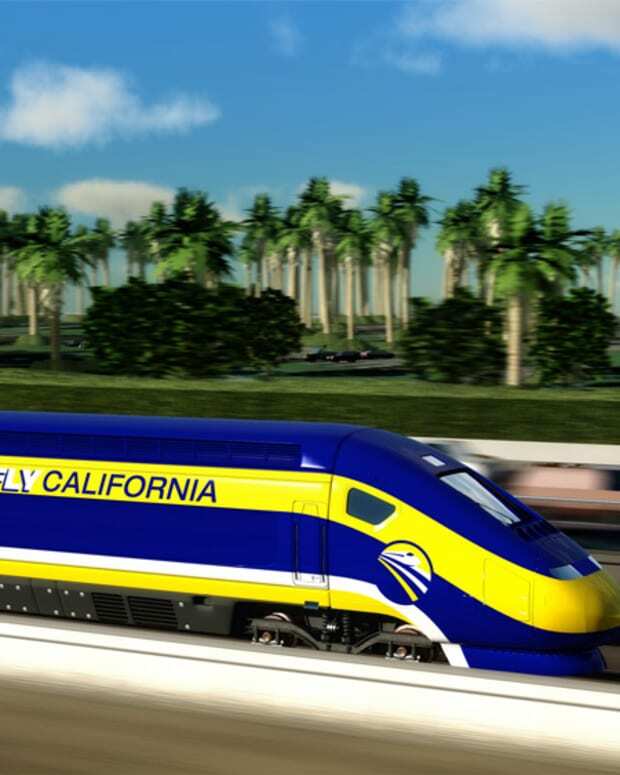 After making generous assumptions regarding the costs, user benefits, environmental benefits, and effects on urban development, Glaeser concludes that all the benefits of high-speed rail would still be less than half the costs. As TheWashington Post writer Robert Samuelson observes, the Obama administration’s vision of high-speed rail is “a mirage. The costs of high-speed rail would be huge, and the public benefits meager.” Yet even Samuelson falls victim to the common assumption that high-speed rail “works in Europe and Asia” because population densities in those places are higher than in the United States. The truth is that high-speed rail doesn’t work in Europe or Asia either. Japan and France have both spent about as much on high-speed rail as they have on their intercity freeway systems, yet the average residents of those countries travel by car 10 to 20 times as much as they travel by high-speed rail. They also fly domestically more than they take high-speed rail. While the highways and airlines pay for themselves out of gas taxes and other user fees, high-speed rail is heavily subsidized and serves only a tiny urban elite. Obama uses the fact that France, Japan, and a few other countries are racing one another to have the fastest high-speed trains to argue that we need to join the race. That’s like saying we need to spend billions subsidizing buggy whip or horse collar manufacturers or some third-world country will beat us in those technologies. The fact is that high-speed trains will never be as fast as flying on long trips and never be as convenient as driving on short trips, and there is no medium-length trip in which high-speed rail can compete without heavy subsidies. The rail advocates go ballistic whenever anyone questions their fantasies, mostly engaging in ad hominem attacks (”you must be paid by the oil companies!”) or accusing skeptics of lying about rail. The reality is that Glaeser (like me) “almost always prefer trains to driving.” If anything, he was too generous in many of his assumptions about high-speed rail. For example, Glaeser built his case around a hypothetical high-speed line between Dallas-Ft. Worth and Houston, the nation’s fifth- and sixth-largest urban areas which together house close to 10 million people and are located about 240 miles apart, supposedly an ideal distance for high-speed trains. If the numbers don’t work for this market, how are they going to work for Eugene-Seattle, Tulsa-Oklahoma City, New Orleans-Mobile, St. Louis-Kansas City, or any of the other much smaller city pairs in the Obama high-speed rail plan? The rail nuts don’t want to hear Glaeser’s (or Cato’s) numbers because they fantasize the Field of Dreams “build it and they will come” myth; that building rail will “create the demand for the rail lines.” That may have been true in nineteenth-century America, when no alternative forms of transportation could compete with rail. But it wasn’t true in twentieth-century France or Japan (where heavily subsidized high-speed rail carries only 4 to 6 percent of passenger travel), and it won’t be true in twenty-first-century America. Building high-speed rail will be like standing in the chilly vestibule of an Amtrak train in mid-winter Chicago and burning million-dollar bills to keep warm. But that’s what happens when you base your transportation policies on a slogan from a Kevin Costner movie rather than on real data.